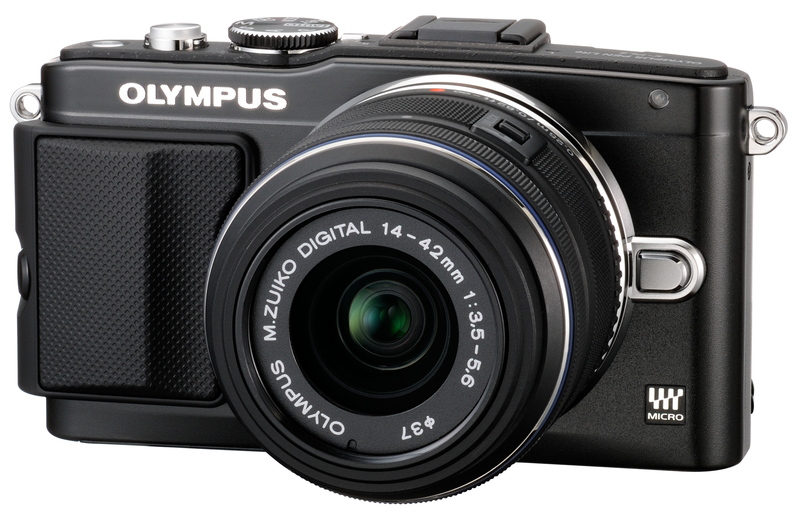 Olympus Imaging Singapore is pleased to introduce a new PEN Lite series camera that conforms to the Micro Four Thirds System standard – the OLYMPUS PEN Lite E-PL5, designed for users who take pleasure in active photography. 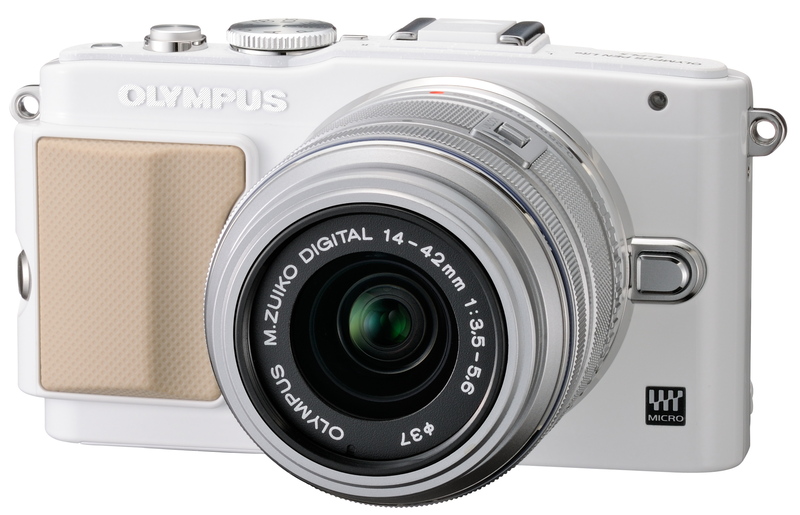 Following up on the success of the OLYMPUS PEN Lite E-PL3, which was praised by critics for its combination of high functionality and ease of use in a stylish, ultra-compact body, Olympus has refined and improved on its formula with the new OLYMPUS PEN Lite E-PL5. The E-PL5 takes its imaging cues from Olympus’ top-of-the-line flagship model, the OLYMPUS OM-D E-M5, by incorporating the same 16.05-megapixel Live MOS Sensor and TruePic VI image processing engine that have made the image quality and sensitivity of the OM-D E-M5 the unmatched standard for Micro Four Thirds system cameras. 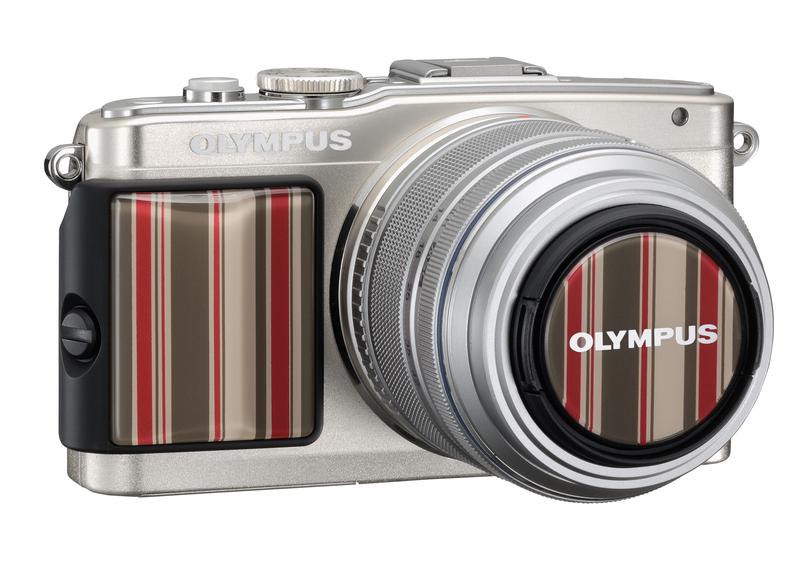 For style and design, the E-PL5 looks to the OLYMPUS PEN E-P3 for its convenient, stylish, and very functional detachable grip. Finally, from the E-PL3, it inherits the swiveling monitor that enables monitoring during self-portrait shooting with a greatly expanded swiveling range. In the E-PL5, Olympus has brought together the best from its entire lineup, refined and improved them, and combined them all in a compact, lightweight body. Exciting new features include the Touch AF Shutter function, which lets the user take a picture simply by touching the Live View screen. In combination with the FAST AF system that made the OM-D E-M5 the world’s fastest autofocusing camera*2, digital photographers can now capture precisely the image they want at precisely the moment they want it. With instantaneous focusing and a capacitive touchscreen panel that reacts immediately to the lightest touch, the camera will not shake at the moment the shutter is released, assuring maximum clarity and stability. Incredibly effective with moving subjects, the Touch AF Shutter will make new ways of shooting possible, taking the creative power and excitement of photography to a whole new level. The Art Filters that have been one of the most defining characteristics of Olympus system cameras have also improved. Offering a total of twelve filter effects, including the new Water Colour plus supporting functions like Variations, Art Effects and the new Monochrome effect, the E-PL5 gives users the opportunity to express their own unique perspective, bringing their vision to life with brilliant, easy-to-use effects. Much more than just an incremental upgrade, the E-PL5 truly fulfills the PEN concept of functional beauty, evolving the system to a new level of maturity with comprehensive advances in all elements, including image quality, functionality and operability. With the E-PL5, Olympus has created a Micro Four Thirds system camera that consolidates the digital photography revolution, setting a new standard for a new age. With the introduction of the E-PL5, Olympus has made it clear that the Micro Four Thirds system is here to stay. And, of course, Olympus remains committed to advancing the evolution of the system in the future with to create and expand into new markets. Able to download background music to be during slide show playback*1 Source: CIPA Statistics digital camera new-category statistics, shipment tables July to September and October to December 2011. Olympus in-house survey. *2 Among interchangeable-lens digital cameras announced for release as of February 8, 2012. The time from the start of autofocusing to the start of exposure after focusing on a subject at a distance of 1 metre was measured with the M.ZUIKO DIGITAL ED 12-50mm f3.5-6.3 EZ lens mounted on the OLYMPUS OM-D E-M5, with focal length of 35mm (equivalent to 70mm of the 35mm cameras) and focus position set to infinity. 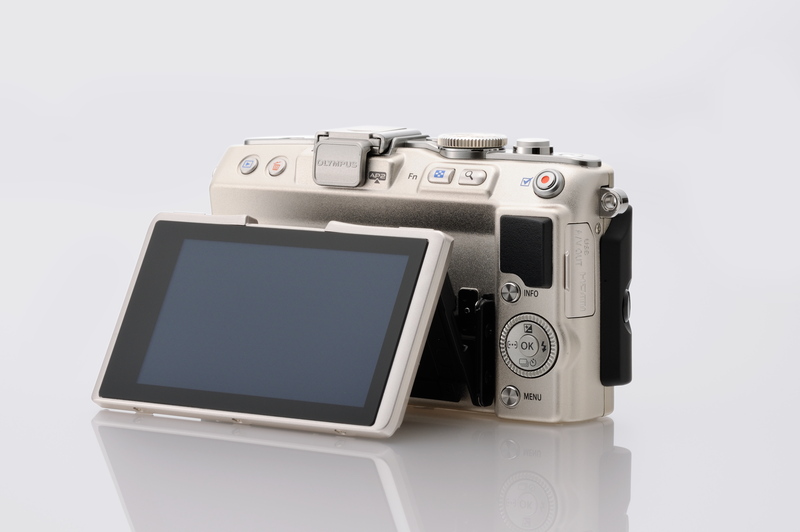 Measured based on Olympus in-house measurement standards.OLYMPUS PEN Lite E-PL5 AccessoriesOlympus will also release exclusive accessories for the OLYMPUS PEN Lite E-PL5. Stylish and rugged, these accessories provide sturdy protection that will allow users to enjoy casual convenience, carrying these cameras comfortably wherever they go. These accessories will be released, following the release of the camera. A recessed mounting screw ensures that the bottom of the jacket is flat, providing maximum stability when the camera is set down and enhancing its sleek looks. A tripod can be attached without removing the jacket, and, of course, shooting and playback is possible while viewing the rear-panel LCD without taking the camera out of the body jacket. 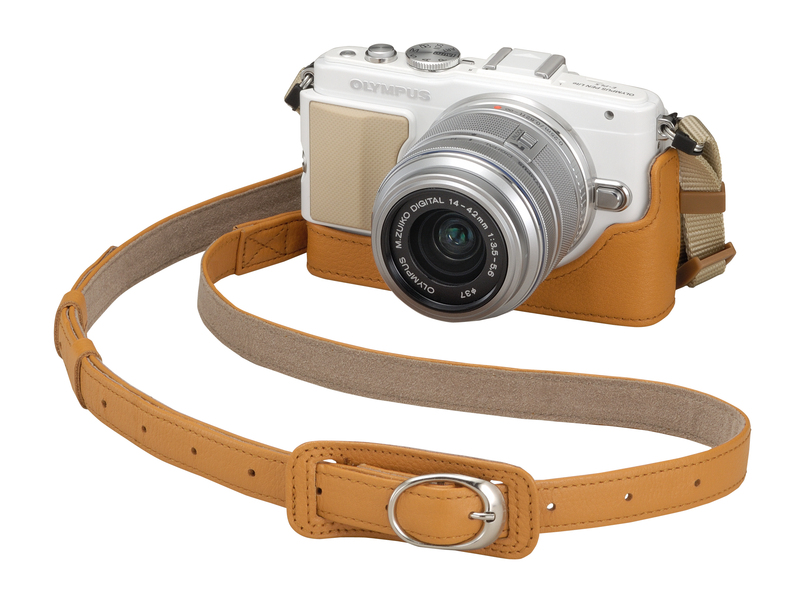 The OLYMPUS PEN Lite E-PL5 employs the same interchangeable grip design first made popular by the OLYMPUS PEN E-P3. Available in three patterns, the MCG-3PR Camera Grip makes it easy to accessorise with style. The matching LC-37PR Lens Cap, available in the same three patterns, lets the user create a colour-coordinated combination that enhances the system’s sense of integration. The Dot, Hounds tooth Check, and Stripe patterns are inspired by popular and traditional fabrics that are always in style. Wrapping the entire camera with a unique, integrated image, they allow the user to enjoy the satisfaction and pride of ownership that customisation entails. The camera grip can also be used with the PEN E-P3. 1.1 The BCL-1580 is a lens that is so thin – just 9mm thick – that it can easily be mistaken for a camera-mount body cap. With three glass lens elements in three groups, it can be used as a wide-angle lens equivalent with a single focal length of 30mm (35mm camera equivalent). In addition to daily use as a “pan-focus” lens featuring a wide angle, fixed f8 aperture and shallow depth of field, it is compatible with manual focusing using a lever and capable of close-up shooting as close as 30 cm. 1.2 A lens-protection barrier is provided so the lens can be mounted permanently on the camera and even put in a pocket together with the camera. Serving as a body cap when carrying the camera and as a pan-focus snapshot lens when taking pictures, this lens is the ideal choice for everyday shooting. The PT-EP10 is a genuine underwater case designed exclusively for use with the OLYMPUS PEN Lite E-PL5, making it possible to create a reliable underwater photography system*3 capable of withstanding depths up to 45 metres. Included with the PT-EP10 underwater case is a large diffuser that allows it to be used in combination with the removable flash (provided with the camera body). The provided flash features wireless flash control capability so the UFL-2 Underwater Flash can be fired from the camera. 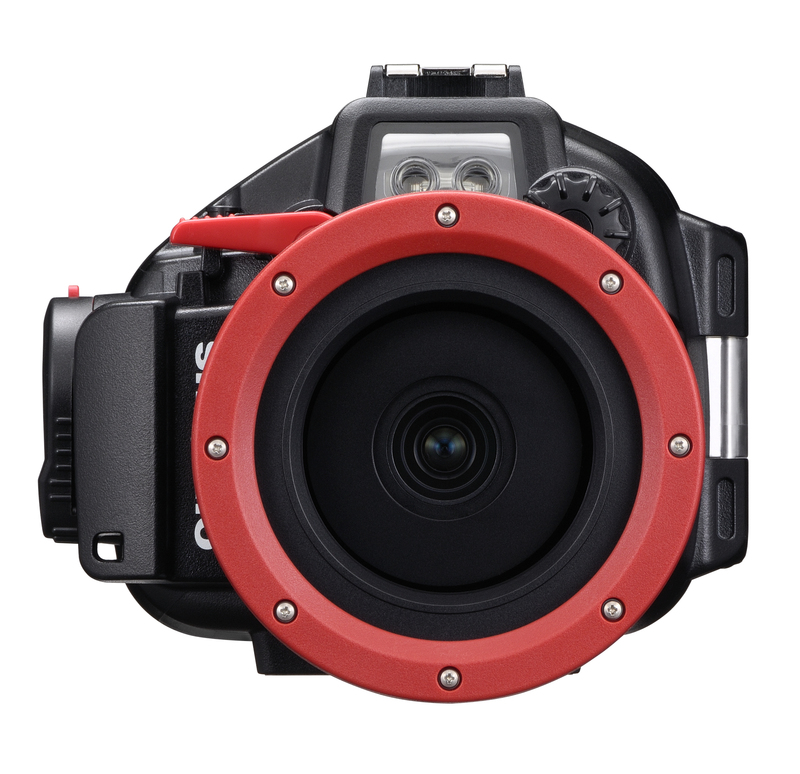 The lens port integrated with the case can accept the PTWC-01 Underwater Wide Conversion Lens or PTMC-01 Underwater Macro Conversion Lens for easy wide-angle or macro underwater shooting. To enable easy shooting of underwater pictures with vivid colors, the underwater white balance control function incorporated in the OLYMPUS PEN Lite E-PL5 detects and corrects underwater colour tones that can vary depending on factors such as water depth, weather and seawater condition. Underwater images with almost no blue colour cast can be captured even when shooting movies. 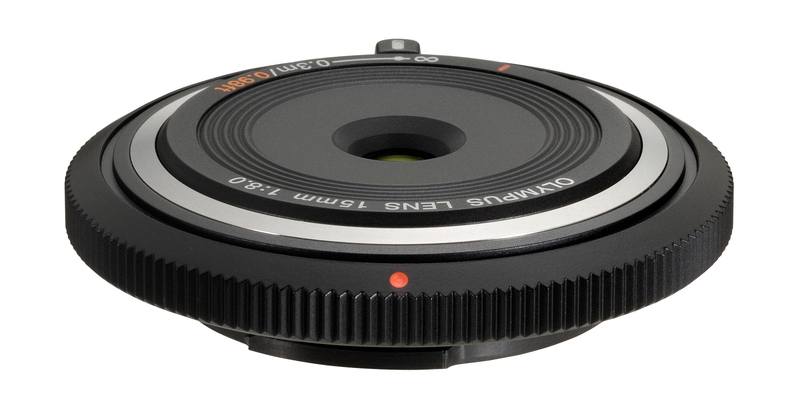 The PPZR-EP03 Focus Gear is designed for use with the M.ZUIKO DIGITAL ED 60mm f2.8 Macro lens. When attached to the lens, this gear enables manual focusing during underwater shooting. In addition to the PT-EP10, the PPZR-EP03 Focus Gear can also be used with other Underwater Cases: the PT-EP01 (for OLYMPUS PEN Lite E-PL1) and PT-E08 (for OLYMPUS OM-D E-M5). 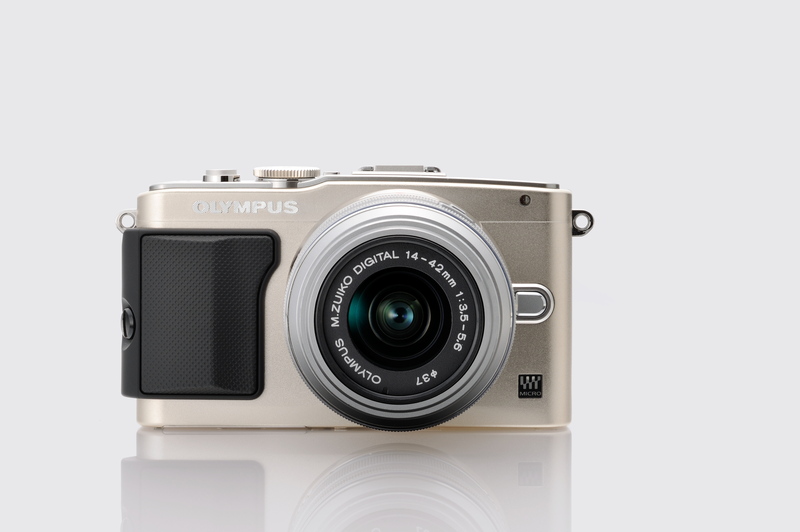 The OLYMPUS PEN Lite E-PL5 is available in Silver, Black and White*4 at Olympus authorised retailers from October 2012 onwards. The OLYMPUS PEN Lite E-PL5 accessories will be available at selected Olympus authorised retailers from the following dates. *4 When the body colour is Silver or White, lens colour will be Silver. When the body colour is Black, lens colour will be Black. This entry was posted in Brand: Olympus, Group Test & Reviews, Photography Articles & Videos, Uncategorized and tagged Micro 4/3, Olympus. Bookmark the permalink.